By Wambui Waweru, NAIROBI, Kenya, Apr 10 – Kenya accounts for 23 per cent of all agri-tech start-ups in Africa; scaling up the impact of digital and disruptive technologies is the next level progression but it requires systematic investment in knowledge, innovation and an incubation ecosystem. 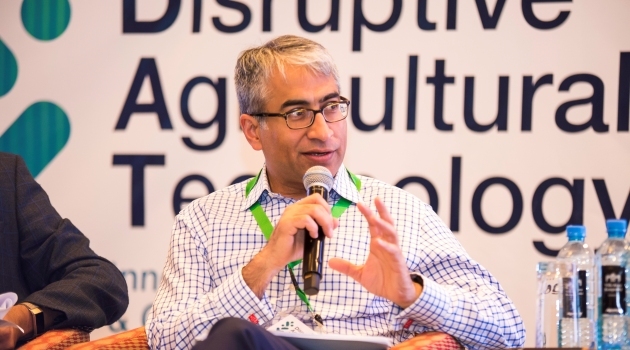 A group of partners, led by the World Bank Group, ran a competitive challenge 5 – 6 April, 2019, to identify Kenya’s most promising agri-tech innovations with the aim of getting one million Kenyan farmers onto a digital platform over the next three years. Capital Business spoke to Dr. Parmesh Shah, the Global Lead for Rural Livelihoods and Agricultural Jobs at the World Bank. Below are three excerpts of the interview at the CapitalFM studios. Dr Shah says that in this project, the World Bank wants to act as a catalyst using it’s convening power to create an initial 1 million farmers platform. Engaging with the innovators, the tech and agribusiness companies and financiers over the last one year has given the World bank the confidence that if such a platform is created they will participate and invest. Dr Parmesh says this is the first in a series of conferences and challenges that will be done regularly. Each stage of the African agriculture value chain is ripe for disruption. Technologies such as apps, climate-smart seeds or data analytics can be used to dramatically improve farmers’ yields, if scaled up and deployed effectively. With regards to logistics, technology can enable suppliers to aggregate farmers’ demand for inputs, seeds and services like tractors, which can then be cost-effectively delivered to farmers at the farm gate. Other promising approaches include financial services, enterprise development and market access. Industries such as like telecommunication and transportation have already shown technology’s ability to radically disrupt the status quo, and now it is time for Kenya’s farmers to harness this potential. According to Dr Shah, the Disruptive Agricultural Technology Conference and Challenge demonstrated clearly that innovation in agriculture is, without doubt, an important tool to tackle food security, and raise overall productivity and profitability in the agriculture sector.